By chemical composition spinel is magnesium aluminum oxide, and is thus close to ruby and sapphire (aluminum oxide). Indeed spinel is usually found in the same locations. But where ruby and sapphire have a hardness rating of 9 on the Mohs scale, spinel is not quite as hard with a rating of 8. 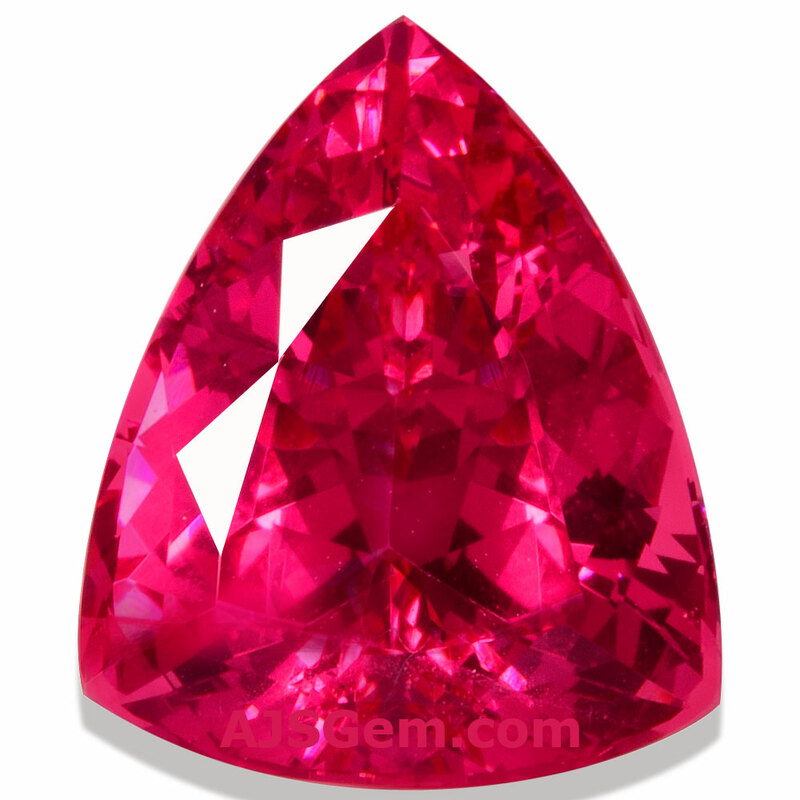 Nonetheless spinel is quite hard and durable, and is suitable for any kind of jewelry. Spinel forms as cubic crystal like diamond. But unlike diamond, which has perfect cleavage, spinel has a complete absence of cleavage. Spinel is also one of the few singly refractive gemstones, a property is shares with diamond and garnet. Spinel is sought after by gem dealers and collectors because it is regarded as an undervalued gem that is in many ways the equal of sapphire and ruby. Spinel actually has more dispersion or fire, and first time buyers are often amazed at how much sparkle they see in a well-cut spinel. Spinel is also rarely heated or treated in any way, whereas unheated ruby and sapphire are now very rare indeed. This makes spinel an especially good value, since the prices on unheated ruby and sapphire are very high. Red spinel in a true ruby-red is now very difficult to find. Most red spinels are quite dark or tend towards garnety or brownish red. But there are have been some outstanding pink spinels from Burma and Tanzania. The most famous are the neon pink-red spinel from the Mahenge region of Tanzania -- these are regarded by many gem dealers as the finest examples of spinel ever found. The saturation in these stone is remarkable and the color is quite pure, without the gray or brown secondary hue often in spinel. The color is also consistent under different kinds of lighting. But it is the remarkable glow that makes the best Mahenge spinel entirely unique. Like high quality paraiba tourmaline, the Mahenge spinel seems to possess a kind of energy that glows even under low light conditions. Spinel has not been marketed by the jewelry industry because the supply is very limited. You will be unlikely to find natural spinel at your local jewelry store. So spinel remains mainly a collector's gem. Most of the world's supply of spinel from Burma and Tanzania is cut here in Thailand, so we have an opportunity to buy the best material close to the source. 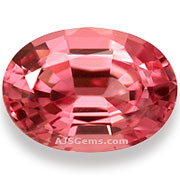 If you are a fan of fine pink gems, spinel is an excellent choice.